I'm really beginning to love social media, but the system tester in me cannot help to think that each platform could improve user experience. 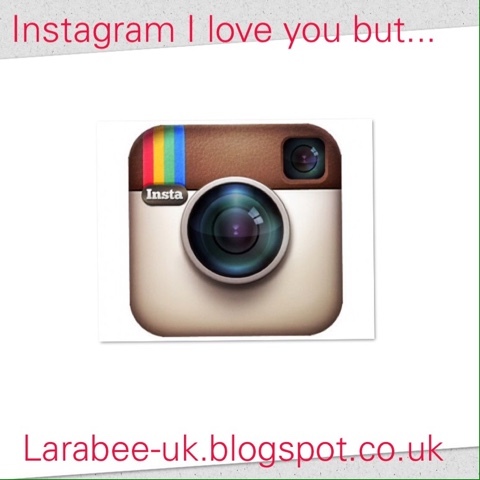 In my new 'I love you but...' series, I'll be giving a list of developments which I think would improve the application, to improve efficiency or which would just make my life bloody easier! And of course, add any I've missed to comments! 1. Please let me click on links direct from posts. 2. Please make it possible to schedule for free within the main app. 3. Please make it easier to repost, within the main app. 4. Please let me search just my own posts. 8. Please allow me to reject a follower without having to block them or turn private. 9. Please allow me to denote some feeds as 'favourites' so I can filter if im really busy. 10. Please allow me to save posts... Oh and save in categories! Edit: 11. Please let me like other people's comments. Clickable links and scheduling are things on Instagram I would like to fix. I will be interested to see what you think of facebook!